Vladimir Hozatski was born in 1955 in St. Petersburg, Russia. He graduated in 1981 from the St. Petersburg Academy of Fine Arts, and, in 1985 he became a member of the artist’s league of Russia. 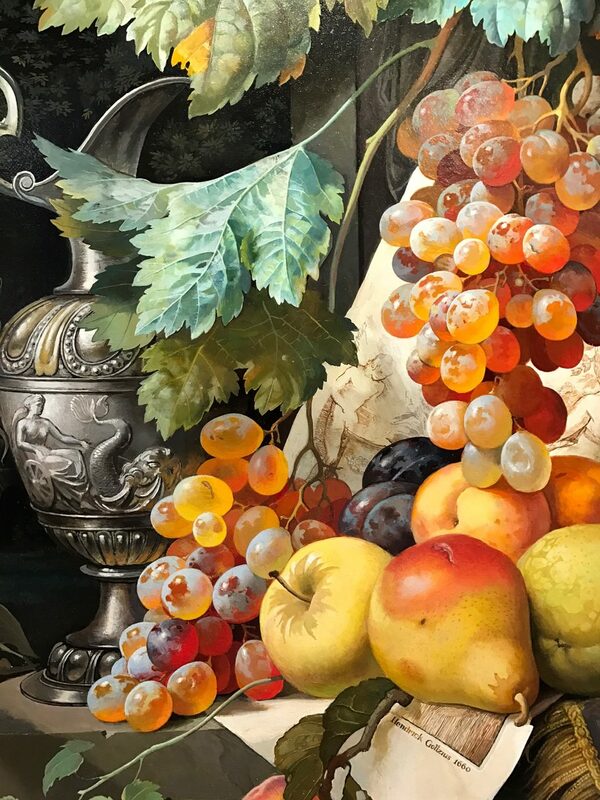 Vladimir has worked to develop a painting style based on the techniques of the old Dutch and Flemish masters that is very much his own. The innumerable hours he has spent studying classical works of art and restoring centuries-old paintings are plainly evident upon examination of Vladimir’s work. Well-known in his native Russia, as well as abroad, Vladimir has received numerous accolades for his work. One of the major commissions he received was a request, in 1985, from then-President Mikhail Gorbachev for Vladimir and his father Guenrich to paint the interior walls of the President’s Black Sea summer dacha in the Crimea. For the reception area, known as the Tea Room, President and Mrs. Gorbachev commissioned from Guenrich the triptych “Gurzuf”, and for the lobby, commissioned from Vladimir the triptych “Yalta”. It took the father and son three years to complete the project, and in January of 1989 they traveled the dacha to install the works. These paintings have been viewed by diplomats and dignitaries from all over the world. After the dissolution of the Soviet Union, the Crimea was returned to the Ukraine, and the dacha became Ukrainian state property. It is still used today for international functions. This commission was the highest honor for an artist in the Soviet Union, and was a very important landmark in young Vladimir’s career. Another notable commission procured by Vladimir and his father was a request from the Soviet government to recreate the stolen paintings and walls from the “lost forever” Amber Panel Room in the Catherine the Great Summer Palace near St. Petersburg. During World War II, panels of amber mosaic, together with a number of 18th century paintings, were removed by the Nazi from the walls of the room and hidden somewhere near the city of Koenigsberg in Germany. After the war, these were never recovered, and Vladimir and his father Guenrich Hozatski were commissioned to replace them. While the secret recipe for making amber mosaic was not in written record, and was lost forever, the precision of the Hozatski’s work makes the room appear now much as it did over two hundred years ago. They helped to create large amber panels to substitute the stolen originals, and painted still lives and landscapes with precious objects inlaid with amber. They were done instead of original paintings by Old Masters that previously hung there. Unfortunately, no one kept full photographic data on the original Amber Panel Room and an exact duplication was impossible. There is still hope that one day the missing panels and paintings will be discovered. This project received world attention, and, in 1978 and 1979 the paintings that the Hozatski is created for the Amber Panel Room were exhibited in Paris.